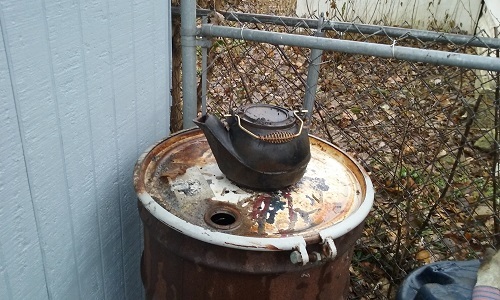 This kettle had always been in my shed. I wonder if it’s one of those things that get left behind at old houses for generations. It looks Iron and it’s definitely an antique. Possibly worth some money. You may want to get it appraised. I It would be nice if it had the lid. There’s a lid on it in the picture. It’s a flat lid and just slides over. I’m hearing people used the exact model generations ago, but I also found out that the exact model can still be bought at Target for $24.99.